Morflex is the ultimate tile adhesive. It is a premium grade product that is incredibly flexible and is most suitable for use on cement based substrates. It is ideal for fixing all types of tiles to substrates that experience thermal movement and vibration. This adhesive can be used to fix both wall tiles as well as floor tiles in indoor and outdoor applications. 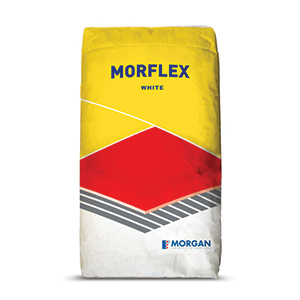 Morflex is available in a standard 20kg bag. 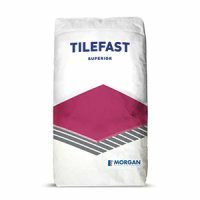 This cost-effective tile adhesive is everything that you need to lay and grout your tiles in quick time. It is also a very versatile adhesive which can be used both for thin or thick bed applications. 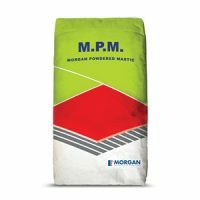 It is suitable for use on cement rendered substrates such as concrete, brickwork, fibre cement sheets, Over Morgan waterproof membranes and primed plasterboards. 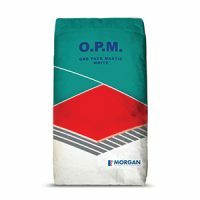 It can safely be used on almost all types of tiles including porcelain tiles, stone tiles, ceramic tiles and mosaic tiles. While Moreflex is incredibly versatile, it is not suitable for use on marble, calcareous stones, MDF and substrates that are constantly immersed in water. For a safe and versatile tile adhesive in Perth, you won’t find anything better than Morflex at Ross’s Discount Home Centre. Buy the ultimate tile adhesive at the most competitive price from our online store today!